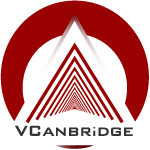 ASP Corporate Website | VCanBridge Technologies Inc.
Corporate web site. We use ASP .Net on this fully customized web site and advanced CMS. So the client can upload images and change text etc.